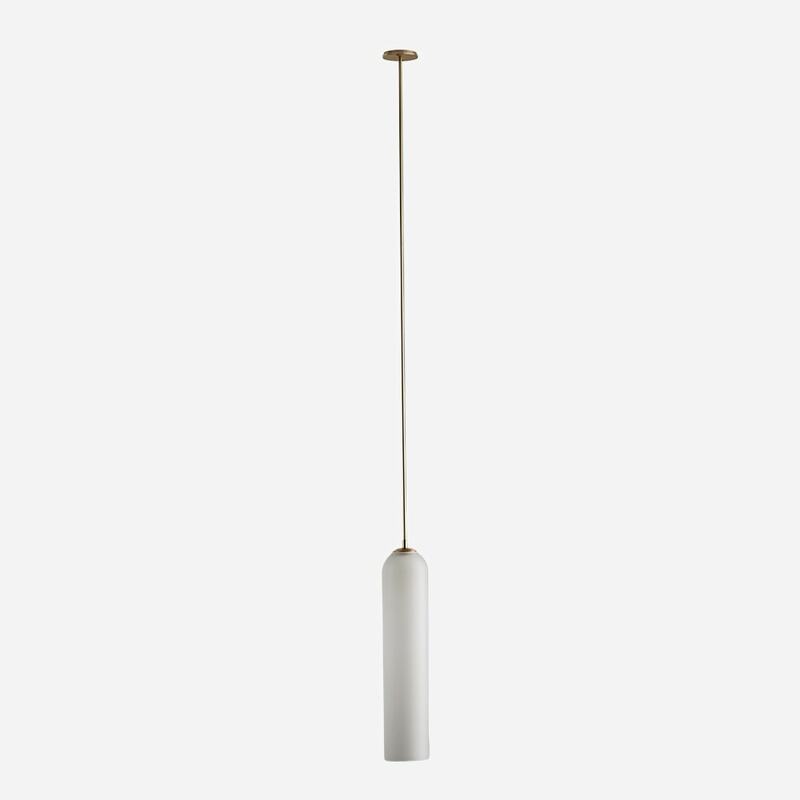 Float’s Elongated Proportions, Striking Colored Glass And Sweeping Brass stem Reflect A Sense Of Luxurious Refinement, While Its Simplicity Of Form Adds a Modern Touch To The Design. The Balance Of Classic And Contemporary Influences, Result In A Graceful grandeur Accentuated In The Soaring Cylindrical Shade. Glass Portion: 26.65"H x 4.33"